This project has been entirely Haitian-initiated. 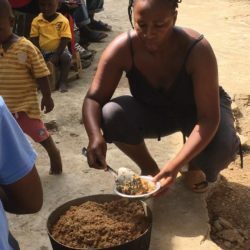 While in Haiti last year, we learned firsthand that our in-country coordinator in Haiti was personally funding a feeding program out of his pocket for 15 children in his rural community, feeding them twice a week so they wouldn’t have to go to school hungry. 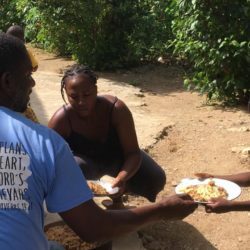 Thanks to your donations throughout they year, especially the recurring monthly donations, we were able to support our friend to help him expand his feeding program. This feeding program now provides meals to fifty children five times a week. 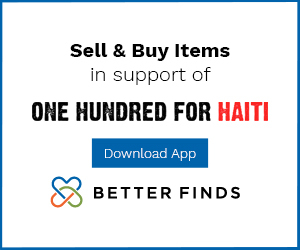 We have it funded through June 2018, but beyond that we will need support. 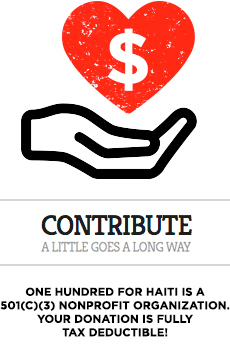 For a $75 donation, fifty kids can eat five times for one week. 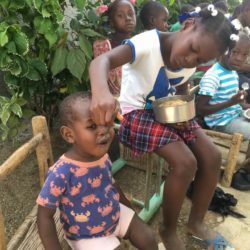 Haitian kids who are not going hungry means kids who will be able to focus in school, and in turn kids who will bring their education into the future. Without donor support, these kids wouldn’t have had the chance to eat on a daily basis or to drink safe water. 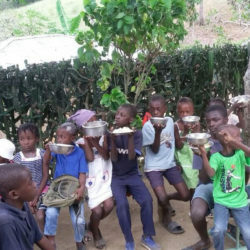 These children are indeed the future of Haiti.